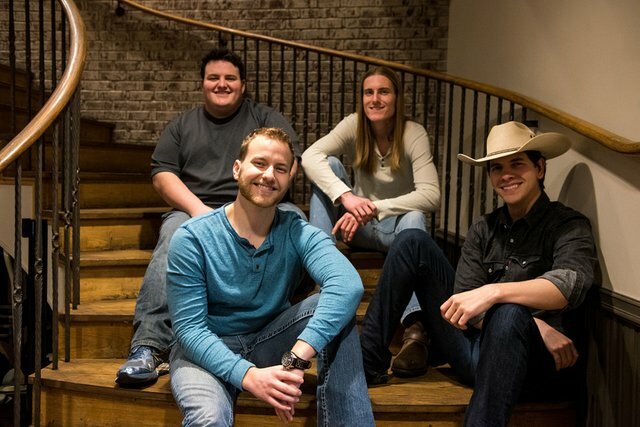 This video is Cumberland Run doing a cover of "Think a Little Less (Kiss a Little More)" by Michael Ray. The song was released about 13 months ago, and we actually had multiple show-goers and Youtube visitors of ours request it, which is rare. So, we decided to give it a shot 11 months ago. This was recorded on the front porch of Alex's (lead singer) Grandparents' house on a beautiful lake in Mississippi, on a beautiful day. Such a beautiful scene was created with the wood of the floor, and the white paint all around us. Seriously you are modest. This is a great recording for someone's back porch. My wife is beginning to follow the lyrics. AWESOME SELFIES 👍 have a great day! I don't know if these qualify as Selfies, but thank you @viktoriyani, I'm glad you enjoyed:) You have a great day as well! thank you for challenging me more. @steembloggers 30 day tag challenge.